From Chris Columbus, the man that "discovered" America... Wait, I mean, the man that directed the first two Harry Potter and Home Alone films comes, Pixels, what is essentially 80s Video games and Nostalgia - The Movie. 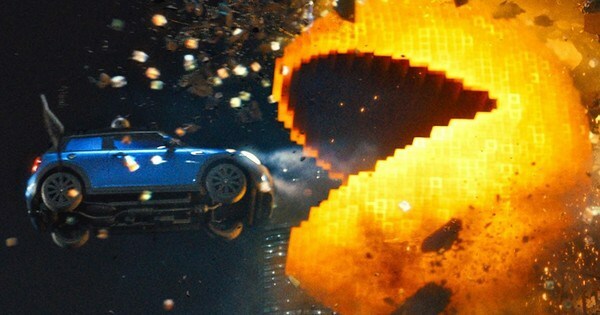 After Guardians of the Galaxy got everyone in America and abroad "Hooked On A Feeling" with its awesome 80s nostalgia, Pixels attempts to cash-in on that nostalgia with 80s video games and pop culture. What interests me about Pixels is the target audience. Based on the first few trailers, the film appeared to have been made to appeal to a younger audience with a presumably PG rating, as well as parents with the 80s references. However, the film is actually PG-13, albeit one of the cleaner PG-13 comedies. The film interested me based on the classic video games and 80s pop culture because Pac-Man and Centipede are the games that my parents played, and I played them as well when I was a kid. Pac-Man is even my mom's favorite video game, which is why she went to see the film. 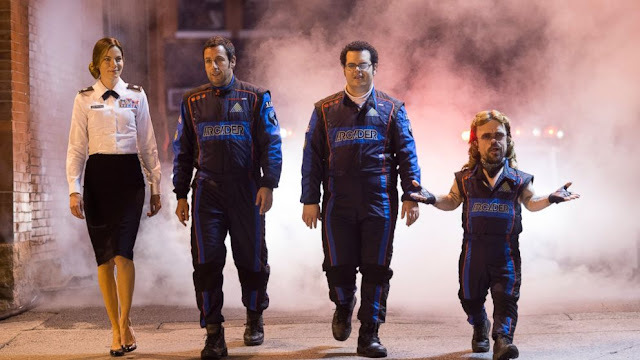 Pixels is receiving a ton of negative reviews. Everyone is saying it is just another awful Adam Sandler movie. Many critics are even giving it their lowest rating. But does it deserve such hate? Is this old school nostalgia trip really that bad? Let's find out! Plot Summary: A space capsule is sent into space with footage of earth's culture, including video games, and an alien species finds it and perceives it to be a threat. To retaliate, the aliens create warriors based on the old video games to challenge earth, and the best old school gamers must save the day! 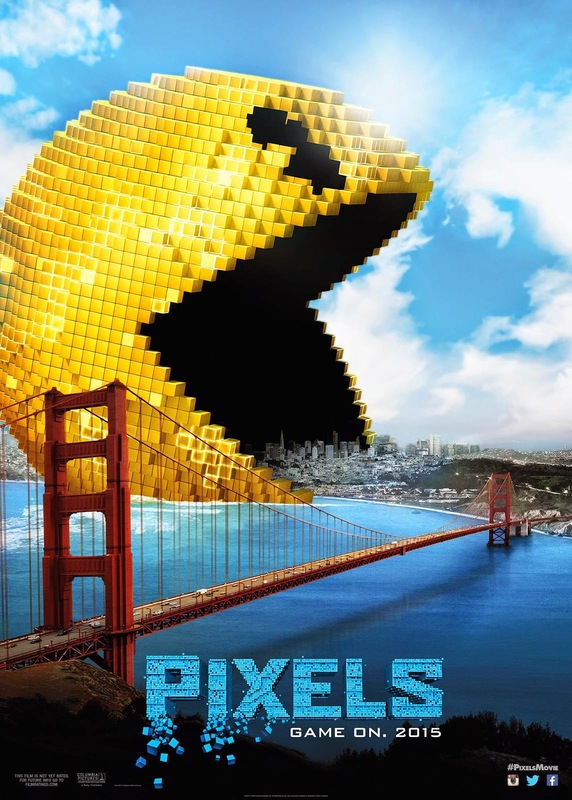 Plot: 6.3/10- Conceptually, Pixels plot is fantastic for a comedy. With the concept alone, it should be fun, and while that is true, everything other than the concept is not particularly interesting or special in any way. There is a clichéd romance, and plethora of other clichés. Thankfully, the film never takes itself seriously, although the one glaring plot hole towards the end is a little too ridiculous. Characterization: 3.2/10- From Sam Brenner, the Pac-Man champion, to Will Cooper, the President of United States, the characters are all goofy and not particularly interesting. What you are really watching the movie for are the video game characters like Pac-Man and Donkey Kong, and if you are not familiar with those classic games and 80s pop culture, then this movie is probably not for you. Special effects: 7.4/10- Surprisingly, the CGI video games characters and pixel effects look great with its bright colors and designs. Soundtrack: 7.5/10- 80s music rocks! It is just the best, and the use of it makes scenes that would otherwise be just okay, far more entertaining with songs like "Everybody Wants To Rule The World," by Tears For Fears and "We Will Rock You," by Queen. Henry Jackman, who also worked as composer for Wreck-It Ralph, composes the original score, and it a fittingly video game inspired score for the film. Humor: 6.0/10- Pixels' humor is not particularly smart. It is not particularly well written. But what it is, is funny if you enjoy 80s pop culture. About half of the non-referential humor is not that funny, but I always enjoy humorous references to 80s culture, like Fantasy Island, Hall & Oates, and Ronald Reagan. So, it was a strange feeling that my brother, mother, and I were the only people laughing at certain jokes in the movie. Also, I was the only person reacting to the scene when Josh Gad speaks in random Japanese to the creator of Pac-Man, which is funny if you understand a little Japanese. The biggest problem with the humor is that Pixels is not necessarily a comedy the entire time, or at least that is what felt like. The novelty of fighting video game characters is the main part of the entertainment, not the comedy. Entertainment Value: 7.0/10- Watching a giant Pac-Man attack New York is entertaining since Pac-Man is something that I have known for as long as I can remember. Sure, the majority of audiences probably will not find the film to be nearly as entertaining, but I had a fun time with it. 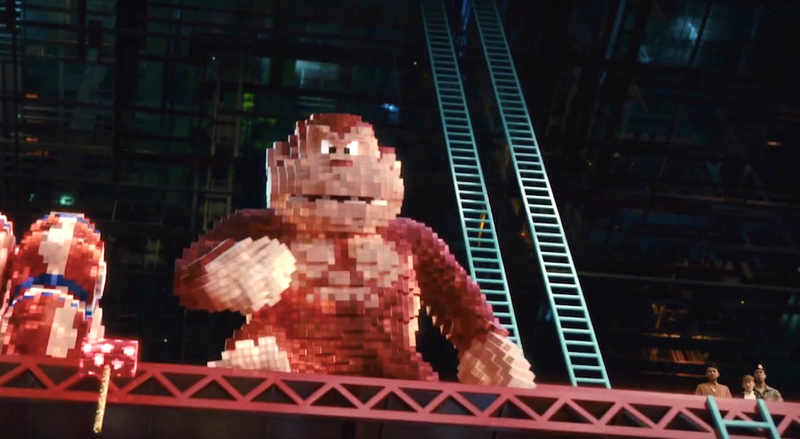 Overall: 6.0/10- Thanks to the fun video game scenarios and 80s references, Pixels is a fun flick to watch with friends and family, and ultimately, having fun is what matters most. It might be dumb, and the humor can fall flat, so if you do not have much knowledge or attachment to 80s pop culture, I would lower the score to a 4.0/10. 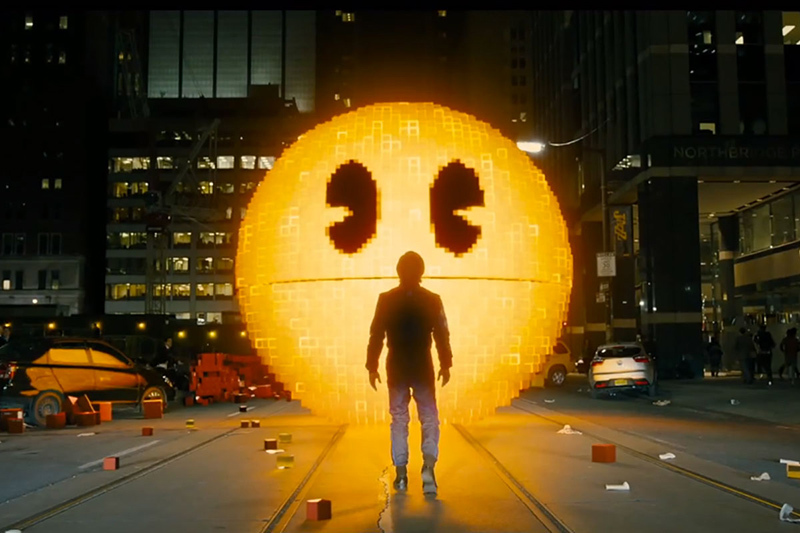 Otherwise, Pixels is worth a rental, although I do not regret watching it in theaters.